Facebook posts look stale without comments on them. Getting fans to comment on your Facebook pages requires time and effort. However, you can expedite the process by following a couple of proven tips. Getting comments on Facebook posts is all about encouraging your fans to participate at a conversation. What’s important is that you know what types of conversations compel fans to comment more on the wall posts of a business page. 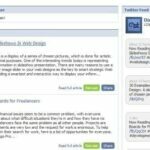 Given below are some of the most effective ways that you can use to increase Facebook post comments. One of the easiest ways to get fans commenting in good numbers is to ask them questions of different styles and types. Some good examples would include ‘yes or no’ questions, ‘true or false’ questions and ‘fill in the blanks’ type of questions. Asking poll questions is also an excellent idea to add some extra fuel to your business page and get your Facebook fans to comment. Users have a natural tendency to react to photos and videos more actively as compared to text-based posts. Whether you post a photo or a video, make sure they are informative, interesting and funny. Allow your fans to have some fun time while they interact with your business page on Facebook. Talking about off-topic things does a great job to add some personal touch to your page. When you discuss things that you fans can relate to personally, you actually establish an emotional connection, an essential ingredient for getting more comments on Facbook wall posts. A proven strategy to increase the degree of engagement with your Facebook fans and get them to comment is by increasing the number of times you share posts on your Facebook page. 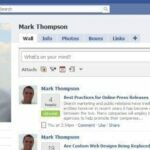 Posting frequently doesn’t only make your business page look fresh, but it also enhances the likeliness of getting viewed by a large number of Facebook users. Even when your Facebook posts are relevant or interesting, you need to add a call-to-action to increase participation. Therefore, don’t forget to ask your fans to leave comments. Timing plays a vital role in terms of engaging more fans. Mornings and evenings are best time periods to share posts with Facebook fans via your business page. In addition, you shouldn’t miss the opportunity to connect with your fans at the weekends. If you post at the right time, you can easily get more comments on your Facebook posts. Do you respond to your fan’s comments? Yes, you can never expect to increase commenting on your fan pages, if you don’t reply. When fans post answers, reply a question or comment, you need to acknowledge their participation. Commenting back fuels the conversation further and bolsters connection with your Facebook fans. Do you have some more tips in mind? Please feel free to share them in the comment section below.